Jane’s passion is litigation. She has been a litigator since 2001. She has conducted civil trials at the High Court and the Subordinate Courts. She also appears in the Appellate Courts. Jane’s practice involves a broad range of civil litigation matters including contractual disputes, professional negligence claims, land disputes, landlord-tenant disputes, industrial relations disputes, banking disputes and probate and administration disputes. Jane also specialises in various aspects of matrimonial and family law matters. She has successfully represented Clients in both highly contentious and non-contentious matrimonial matters involving local and foreign Clients. 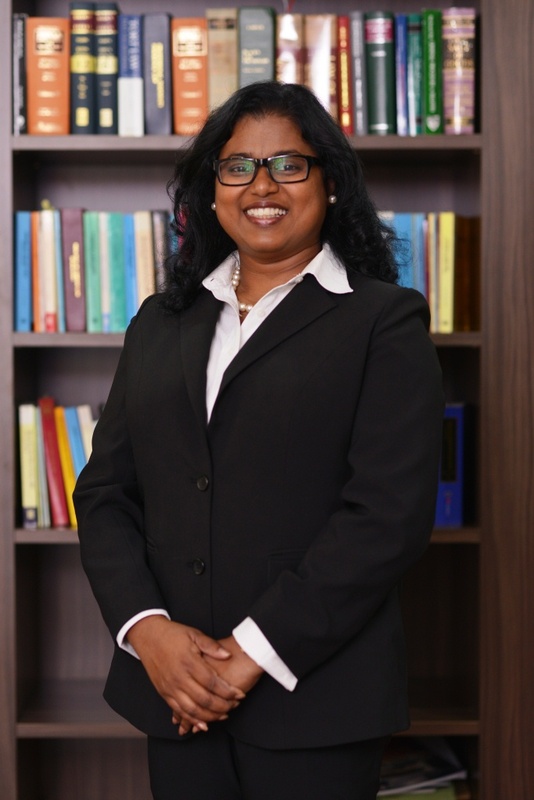 The areas of matrimonial law that she advises on includes Divorces, Custody of Children, Division of Matrimonial Assets, Jurisdiction, Domestic Violence and Deed of Separation. Jane has represented key clients in various industries including insurance, trust and construction companies, developers, local and foreign individuals. Jane devotes some of her time in representing clients in family matters on a pro-bono basis. Outside her practice, Jane dedicates her leisure time to charitable causes.